‘Breaking Bad’ film coming, but will Walter White be in it? New York (AFP) – Popular television drama “Breaking Bad” is coming back in movie format, the show’s star Bryan Cranston said Wednesday, but it was not clear if his iconic character Walter White would return as well. The series, which ran from 2008 until 2013, told the story of White, a high school science teacher who responds to a terminal cancer diagnosis by turning into a powerful drug lord. 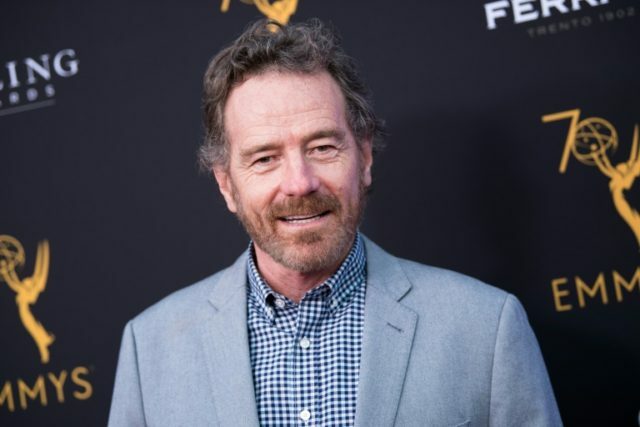 It is one of the best-reviewed shows in TV history and earned a total of 16 Emmys, including four best actor prizes for Cranston, and two Golden Globes. “There appears to be a movie version of ‘Breaking Bad’ but I honestly have not even read the script,” Cranston, 62, said on The Dan Patrick Show, a national radio program. Spoiler alert: White died at the end of the series, which aired in the United States on cable network AMC. But Cranston nevertheless said he would “absolutely” be interested in bringing White back should show creator Vince Gilligan ask him to do so. Cranston, an Oscar nominee for best actor in 2016 for his work on the Hollywood-set biopic “Trumbo,” said he believed the film would offer fans some more closure for “at least a couple” of the characters. The New Mexico Film Office confirmed that a film by the same name, produced by Sony, would start filming later this month, and wrap in February. The series was also filmed in the southwestern state. The announcement came days after AMC said another of its wildly popular series, “The Walking Dead,” would also have feature-length installments. Production on a “Downton Abbey” film has already begun.